Standing alone in the pit exit at the BIC (Buddha International Circuit), the Audi S6 looks ordinary in the sense that it's not a car that's going to grab any attention. It's a sleeper, surreptitiously concealing the kind of firepower under its hood that could make some sports cars turn red in the face. And that subtlety is also what makes this a very interesting car to drive. 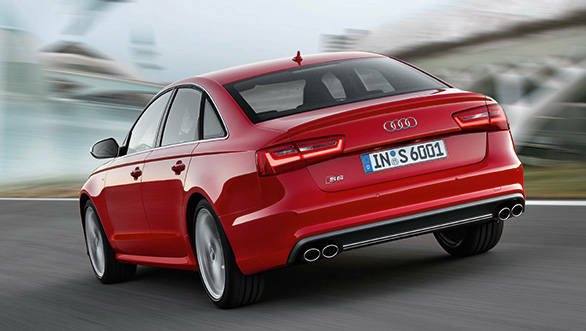 The 2013 S6 is a substantially new car and is based on the new A6 which was recently launched in India. You can very easily overlook the special alloys it comes with or the badge in the grille and the quad exhausts poking out at the rear, but beyond that there is literally nothing that separates the two sedans. Ignore the lack of cosmetic appeal, focus instead on what makes this car tick. 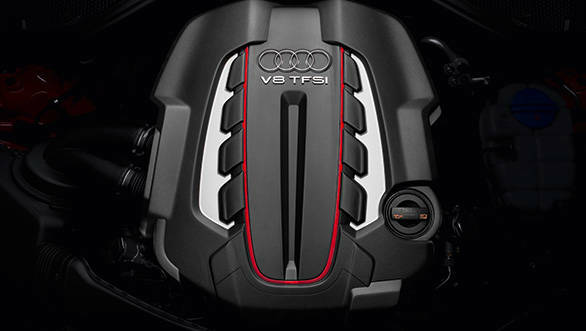 Under the hood is a fairly large engine, the 4.0-litre twin turbo V8 replaces the V10 unit the S6 used to be powered by. The V10 was the same engine shared by the Lamborghini Gallardo and gave the S6 the heart of a supercar. Don't write off the V8 though. This new engine is also found in the Bentley Continental GT, so it's not just got heart but soul too! 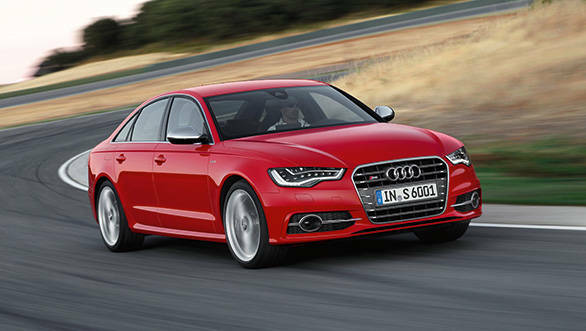 In the S6, the DOHC V8 makes 420 horsepower and it is mated to a 7-speed S-tronic dual clutch transmission. The basic premise behind employing this engine was to provide this car with the firepower required to give it sportscar-like performance but at the same time keep emissions and efficiency in check. To achieve the latter the engine can deactivate 4-cylinders while driving in urban cycles and it also has a stop-start system. Honestly though if you wanted a car that was efficient and environmentally friendly, buy a Prius. The S6 is what you buy if you can't afford the R8 or even the RS5. It's the car that will give your mid life crisis a cheeky slap on the cheek in 'the life isn't over yet' kind of way. The S6 is the Jason Bourne of the automotive world, it is discreet but it has skills. Those skills are best manifested on a racetrack, out there you can exercise the 550Nm of torque that is available from as low as 1400rpm all the way to 5200rpm. That sort of torque coupled to the dual-clutch transmission and quattro is capable of slipping a few discs of your spine. 100kmph comes up in under 4 seconds and it will do a quarter mile run in around 12 seconds. However, on the long back straight at the BIC the top speed limited to 250kmph is a bit of a downer. On the flip side this car is still very much a luxury sedan and those who buy into it are not looking for just a thoroughbred race car performance. So the S6 is luxurious and comfortable and practical. That means the suspension does not have the stiffness of the RS5 or the R8. The result is a fast car that feels soft in the corners. Now people like Karun Chandhok may not like the slight suppleness in the suspension but ask Gaurav Gill and the grin would spread across his face like a 5th grade schoolboy who just got his first Lego set. That's because these sedans with a soft suspension have a front end that dives considerably under hard braking lifting the rear end and enabling the tail to step out easily. I've always found these cars much more enjoyable, an R8 will powerslide but is much trickier if you want to manipulate the suspension and throttle. A sedan, on the other hand, if not stiffly sprung will always be far more enjoyable if you aren't hunting for faster lap times. If you wanted a car that was efficient and environmentally friendly, buy a Prius. The S6 is what you buy if you can't afford the R8 or even the RS5. 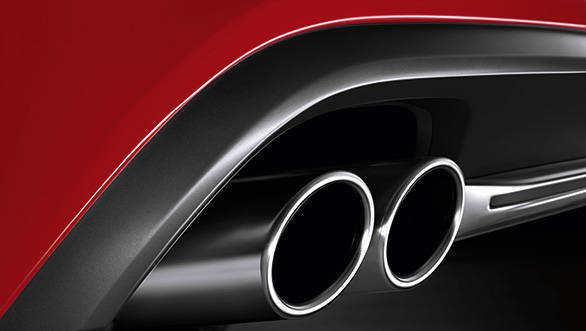 One aspect that I think needs to be attended to is the exhaust note, a car with 420 horses should sound like one. Yes there is a skew towards retaining the comfort and luxury aspect but without the auditory drama this car seems a bit under the weather. Yes, you can hear the exhaust note and the eight cylinders working their magic but you can also sense the noise is being subjugated. So there is that one tiny gap lying vacant in the S6's repertoire on track. 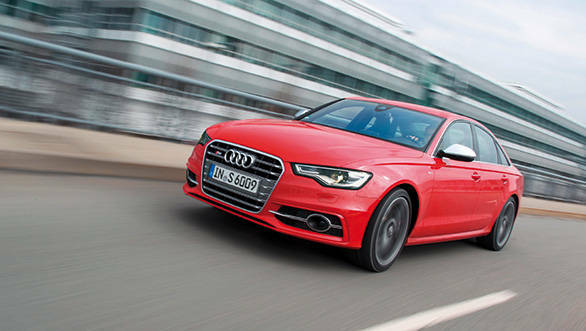 Nonetheless, the Audi S6 is to me a thoroughly enjoyable car and every bit competent in a variety of situations. The S6 is a car that complements both your tie and driving shoes. Rest assured, once you get to know it, it's not a car that will ever be left standing alone for too long.